There is nothing more frustrating for employees than searching through their company’s shared network folders for documents they just saved to no avail. 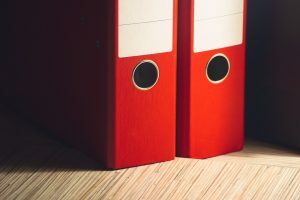 Many times, poor document management practices such as using a complicated naming scheme for folders and failing to delete or archive out-dated versions of documents is the main culprit in these situations. With the right document management system in place, employees can access documents easily and quickly. They also get to share them with their colleagues through the company intranet when working on collaborative projects. If need be, such collaboration can even extend across geographical borders. Consequently, an organisation with such a system in place is able to achieve unprecedented levels of teamwork among its employees. Keeping documents up-to-date can be a hassle in organisations that generate large volumes of work. While new versions must always be kept current, older versions also must be continuously archived or deleted to reduce confusion and increase efficiency. A document management system does all this automatically through its archiving and cleaning function. Once uploaded, a document is tracked and always kept up-to-date. Document management saves the time that would have otherwise been wasted searching for a misplaced document or in re-doing one that was lost. The time that would have also been lost when meetings were postponed and projects delayed, is also recovered. Since wasted time means wasted money, having all documents well organised and filed on the intranet for quick access eventually translates into significant monetary savings for any organisation. This is probably the greatest benefit of document management systems. Unlike traditional paper documents that were easy to lose, misplace or forget at home, modern digital documents are easily accessible regardless of one’s geographic location. With document management software, they can also be modified and kept up-to-date in the process. In addition, the mobile intranet function enables employees to access to their work using their mobile devices when away from the office. Instead of spending time searching for documents, editing or updating them, and in a worst case scenario, redoing them; employees can spend this time focusing on their work. Whenever they need to access any document on the company’s intranet, they can do so quickly, from anywhere and use any device. Once done, they can get back to work again. This effectiveness makes employees, as well as their company, more productive in the long run. Document management systems are designed to make the storing, accessing, tracking, updating and sharing of documents easier, faster and more efficient. As a result, organisations benefit through greater employee collaboration and productivity, faster document updating and accessibility, and finally, more savings in money and time.